From carjacking to shoplifting, theft can be an incredibly serious offense. If you or someone you love is in a situation where they have been arrested for theft, it’s important to hire a bail bonds company you can trust. At Indiana Bail Bonds, we offer bail for theft charges in Avon and Indianapolis, IN that are reliable and quick. We know how stressful these types of circumstances can be, so we want to make the process easier and faster by offering our professional bail services. Our supportive and experienced bail bond agents are there for you every step of the way, answering questions and offering a kind word of encouragement. When you need help fast, call us at 317-423-9300. We are open 24/7, so we will be there when you need us most. 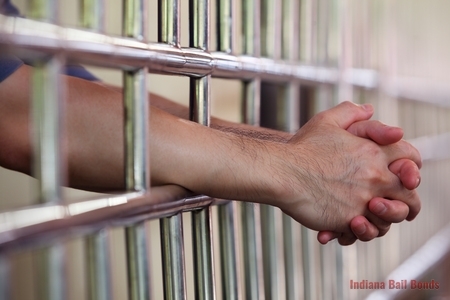 When You Need Bail for Theft Charges, Call Indiana Bail Bonds Today for Fast and Reliable Bail Services. In the state of Indiana, theft can be classified as either a misdemeanor or a felony. In regards to misdemeanor theft in Indiana, we charge a person with a Class A misdemeanor. Typically, with a Class A misdemeanor, an individual will not be charged with theft but instead will be charged with criminal conversion. A Class A misdemeanor is when someone takes someone else’s property without their knowledge. The penalty for a Class A misdemeanor in Indiana is up to 1 year in jail and a maximum fine of $5,000. There are two types of felonies someone can be charged with, a Level 6 and Level 5 felony. A Level 6 felony is handed down if the possession or property was between $750 and $50,000 in value. The penalty for a Level 6 Felony is 1 to 3 years in prison with the convicted paying up to $10,00 in fines. With a Level 5 felony, the value of property and possessions have to be worth more than $50,000. With this type of crime, the penalty is 2 to 8 years and up to $10,000 in fines. Let our team of bail bond agents help you with bail for theft in Avon and Indianapolis, IN by giving us a call right now! When you want a compassionate team who will go the extra mile to secure your release from jail, call Indiana Bail Bonds today at 317-423-9300! We make it easier for our clients by traveling to them to make bail as well as offering online bail services. One are only a call away, so contact us for bail for theft charges in Avon and Indianapolis, IN. Updated on March 26, 2018 at 4:19 pm by Indiana Bail Bonds.